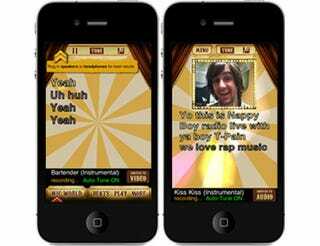 Maybe the best use of the front-facing camera I've seen yet comes from Smule's auto-tunetastic I Am T-Pain app. Because now, you can star in your own autotuned music video. It's pretty genius. Or these fine young people! Now accepting votes for what you'd like to see one of our interns singing in the not too distant future. In the meantime, you can download I Am T-Pain 1.5 here.